A friend walked into my kitchen, saw fridge magnets on two huge refrigerators in the kitchen and concluded that collecting magnets has to be my most quirky habit. Of course I didn’t tell her that I have two very big refrigerators in my kitchen not because I need them but the fridge magnets have to go somewhere and I couldn’t think of anywhere else creative to display them. I’m sure plenty of friends have been been victims of this hobby of mine as I return armed with a bundle of fridge magnets from my travels. But fridge magnets are not all that I collect. 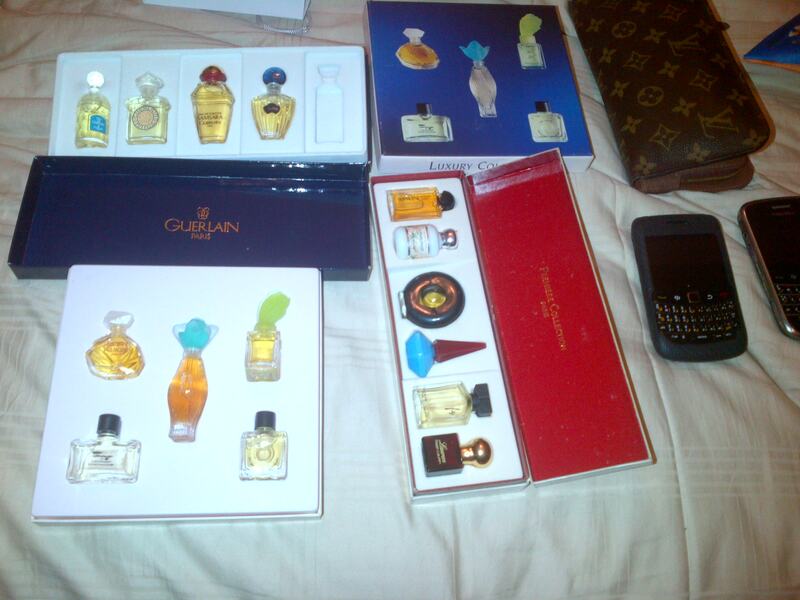 My biggest passion is collecting miniature bottles of perfume. I started this about 12 years ago fuelled further by Eric’s then habit of indulging me with whatever my heart desired and my heart still to this day desires cute little bottles of perfumes of all sorts. I have a collection already and continue adding to it while enjoying the more favourite scents. Fridge magnets are still something I get wherever I go but miniature perfumes continue to be a passion that I love – I’m certainly glad that collecting Louis Vuittons and Jimmy Choos were very short lived addictions. Can you imagine if I continued that with the same vigour as I do collecting fridge magnets and miniature perfumes. I would feel very sorry for my smoking plastic card. Funnily enough NJD has a habit of collecting stones for her memory chest…she does this without realising that every country we have been to, she has always returned with a stone which she forgets about afterwards as it lies around the house. As long as it does not translate into other kinds of stones like diamonds and emeralds which is very likely considering the diva qualities emerging from the little tyke, I shall keep mum about it…literally. I’m resigned to pick stones around the house with my mouth shut. Lets just hope that there are no other quirky habits I have that I am not aware of…someone said I use the words ‘heaps’, ‘baby’, ‘sweetie’ ‘aye’ and ‘honeybunch’ way too much…does that count as a quirky habit too? 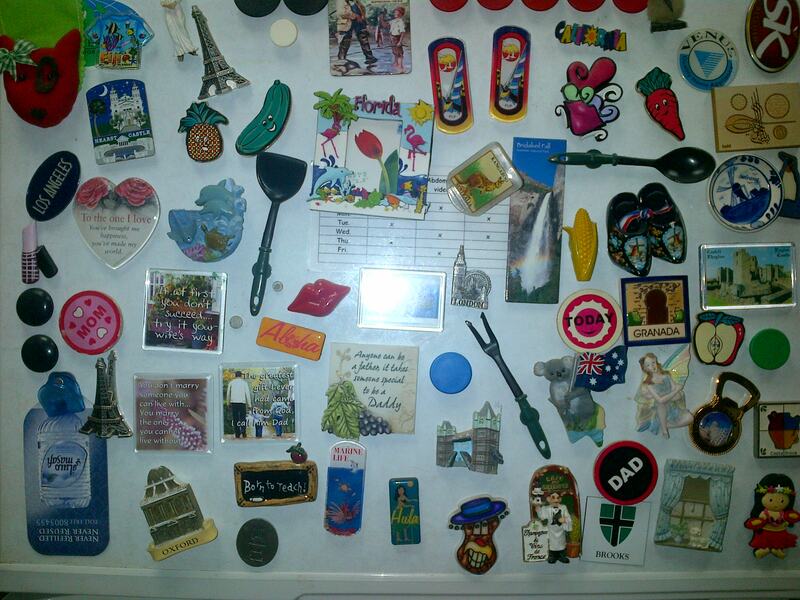 Fridge magnets...how jumbled up is that?